I didn’t post last week because I was so busy last weekend with my family. My sister was down from Scotland with her husband and children, so there was a lot of getting together and doing family things. In the run up to that weekend I was busy working on H’s room. It’s now mostly finished and it’s just a case of bringing everything back into the room, but that is a task and a half as I’m hoping to clear things out too. I had a new garden gate earlier in the summer and I’ve now finished the look off with a bit of trellis. 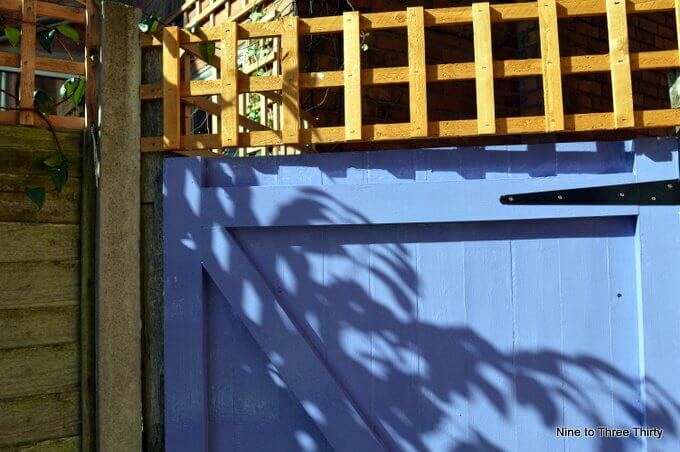 It matches next door’s gate now as that has trellis above too and hopefully it adds a visual deterrent if nothing else. 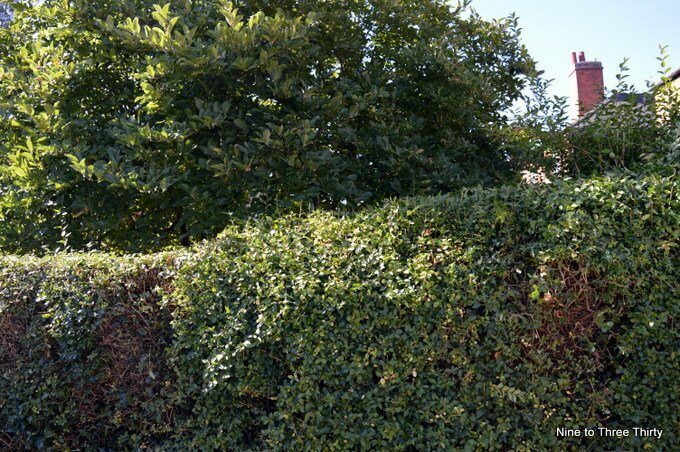 My garden has hedges down both sides most of the way at least and I like a hedge as it’s good for wildlife and it’s cheaper to maintain than a fence, but it is more work. I read somewhere that it isn’t good to cut the hedge too early in the year because of nesting birds, so since August started I have been busy cutting sections of hedge and filling up the green bin with the clippings. Thankfully I am now very nearly done. It’s been so nice to have some good weather this last week because the previous week was horrible. I’ve been able to take Mum for a couple of walks in the park in her wheelchair. 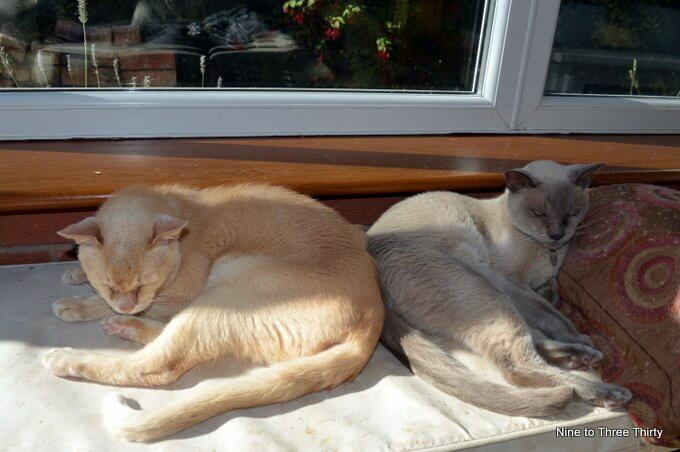 The cats have been in the conservatory making the most of the chance to bask in some early autumn sunshine. 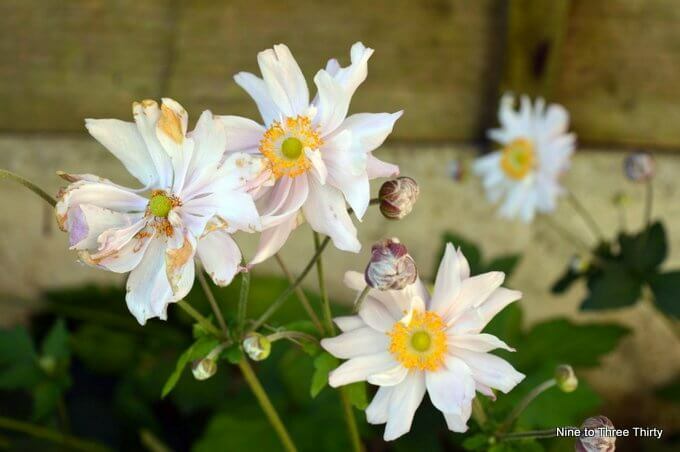 The anemones in the garden are still looking nice although they are starting to fade. I seem to have as much colour now in the garden as I did earlier in the summer. Lots of Christmas gift guide things have been arriving in the house. There was one particular box that H was very keen to open and try the contents. Nerf guns are always popular here, but these ones don’t have darts and work like laser guns. The bedroom looks fab! Great job! The guns are so much fun. He’s loving them. I think another one will be on the Christmas list. Glad you enjoyed time with family, blog posts can wait. Have often seen people put out shout outs on twitter for gif guide items, often wondered how many people get responded to and get items. Glad H’s room is finished. Response Source in my case rather than Twitter and some existing contacts too. Glad to hear you enjoyed your family visiting you, and had good times together. H’s room looks lovely. The cats seem to be cozy together. We have Nerf guns and accessories. While Eddie likes them, I am not a fan of gun toys (we actually won several sets last year). The bedroom is looking great! My cat has been making the most of it too and chilling in the conservatory! The laser nerf guns are a new thing and are proving a big hit. 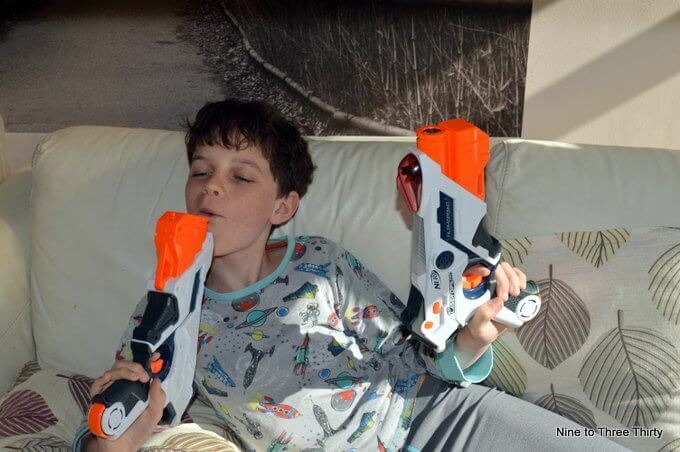 N loves nerf guns too. He has one on his christmas list already. 1st September is when you’re allowed to cut hedges as it’s safely after nesting. I didn’t know that until recently when the OH mentioned seeing someone cutting their hedges much earlier. No idea when you have to stop in Spring though. Really? That is late. I always feel like I’m the last round here doing it in August. Wow, you have had a busy couple of weeks! H’s room is looking fantastic now, you must be so pleased with it. I am. It’s been hard work, but it’s made such a difference. Ooh I’ll have to look for the laser beef guns, they would be very popular in our house. His room looks so good, well done!! 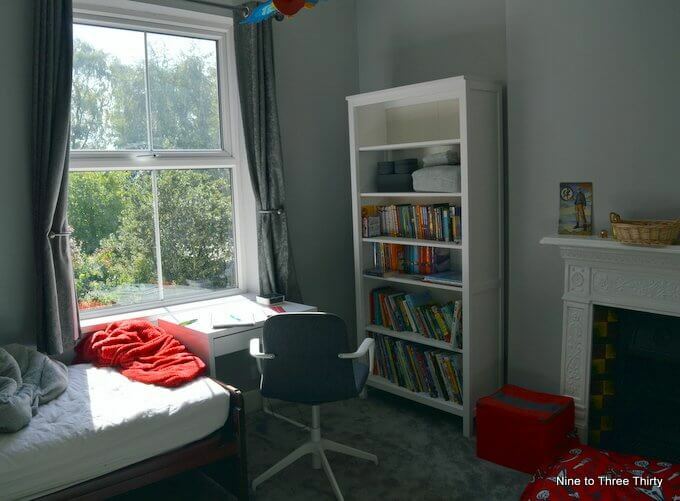 Gosh, Hs room is look very grown up and looks great for him. We are going to have to get the boys together, armed with nerf guns and a big playing field. They’ll have a blast! That would be great. H is always up for a nerf battle. The bedroom is looking cool!